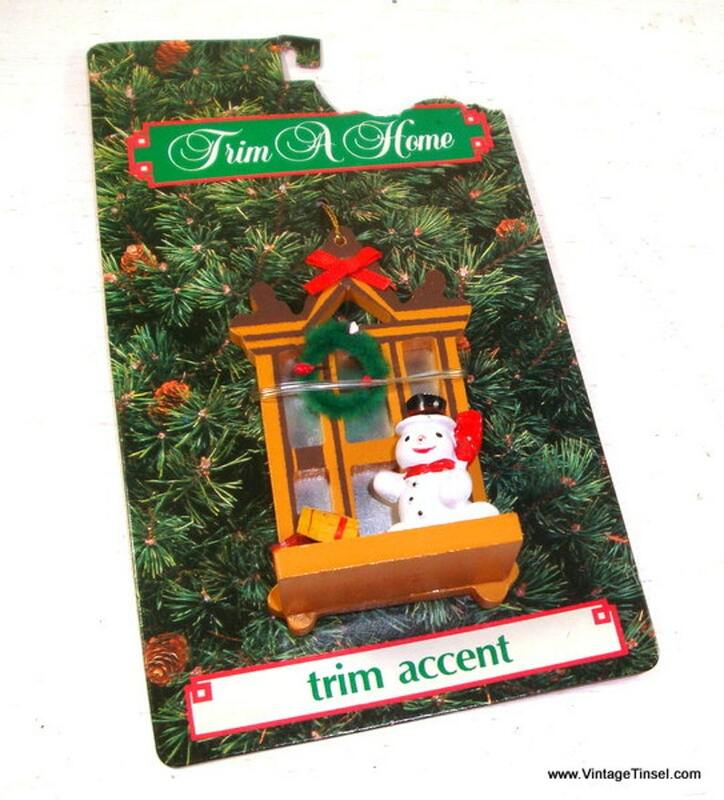 Vintage Christmas ornament of a snowman standing in front of a door/window watching over gifts. A chenille stem wreath and a bright red holiday bow at the top. There is a gold cord to hang from your holiday tree. On original package, never used. Package is torn upper right. Made in Taiwan and sold through Kmart. Made of wood, measures about 4" tall. One tiny spot of chipped paint on the scarf and one of the berries on the wreath is chipped, a touch of red paint is all that's needed for both. More snowman ornaments? Combined shipping available.